Thinking more of others than yourself sometimes takes courage. It certainly takes courage when you’re a young woman and you’re continually at risk for getting arrested. Sheilah Adhiambo Otieno possesses that courage. 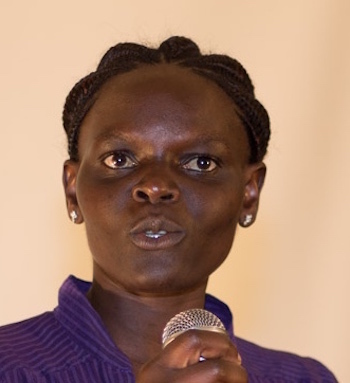 Otieno has used her personal resources to empower young girls and to ensure that both girls and women become educated and attain economic independence. She does this through her Safe Girls for Change program. The program has been running for four years. It includes a computer centre and six vocational training centres. Here is where girls and young women come to learn and acquire a variety of skills—not only computer skills but also skills that may lead to trade careers, for example beadwork and beauty therapy. With this knowledge and ability, they have the opportunity to earn an honest living and stay away from prostitution and early marriages. Recently, three girls who had enrolled in Safe Girls For Change eloped and got married; not their parents, their caretakers, nor Otieno knew about it. As a result, police arrested Otieno; she spent two nights in a cell. In addition, she has been threatened and even robbed of her personal items. However, none of these acts of intimidation have stopped her from helping the girls. Sheila Adhiambo Otieno: Despite the risks and the actual hardships, she persists in lightening the loads, strengthening the hearts, and improving the lives of young women.